Lifeboats. Hunting vests. Construction markers. Many of the world’s bright orange objects are designed to protect. Safety or blaze, orange sets things apart from their surroundings: it is a signal for caution—keeping people from harm. No wonder then it has been adopted by a global campaign created to help women and girls stay safe. The campaign, Orange the World: End Violence against Women and Girls is part of the United Nations Secretary-General Ban Ki-Moon’s campaign UNiTE to End Violence against Women and it calls on everyone—UN agencies, civil society partners, the corporate sector and individuals—to turn the world orange between November 25th, the International Day for the Elimination of Violence against Women, and December 10th, Human Rights Day. 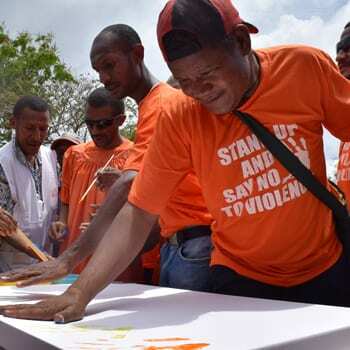 The time span, known as the “16 Days of Activism Against Gender-Based Violence” is a time when many around the world show solidarity and hope to make progress against an epidemic of violence driven by gender issues. This year is a historic one as 2015 marks the 20th anniversary of the Beijing Declaration and Platform for Action (the Beijing Declaration), the most progressive blueprint ever drawn up for advancing women’s rights. In 1995, violence against women was identified as one of 12 issues covered in the Beijing Declaration, but the UN Secretary-General’s report on implementation shows that despite progress, levels of violence against women and girls remain unacceptably high. Persistent problems include: slow and uneven implementation of national and legal frameworks, insufficient attention paid to the occurrence of violence and persistent discrimination, gender inequality, discriminatory norms and gender stereotypes. This year the agenda to prevent violence also got a major push forward in the global development stage. In September, United Nations member states, agreed on a new set of development goals, knows as the Sustainable Development Goals or “SDGs.” Violence factors into many of them from ensuring education, to reducing poverty. 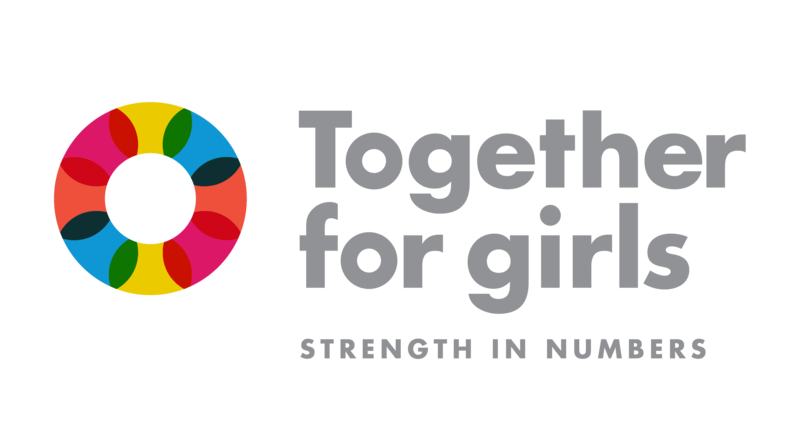 An important victory is that two of the SDGs (5.2 and 16.2) directly hold country governments accountable to ending gender-based violence and violence against children, respectively. While these UN declarations may seem like wonky bureaucrateeze, the reality is that country governments were central in setting these priorities and are required to report publicly at the UN every year on their progress—this kind of highly visible attention motivates change. That’s why this year is critical: action taken now can help shape the future of how the world protects women and girls. Orange the World enables all of us to highlight how the prevention of violence against women and girls is an integral part of a successful global development agenda, and inspires greater investment in prevention efforts while sparking a global conversation about how best to prevent violence against women and girls. Orange the World is both a springboard for new initiatives and an opportunity to renew commitments. What does it mean to “orange the world?” Well, that’s up to you. Wear it when you run a marathon. Initiate an orange flash mob. Get a group to cycle on bikes all wrapped in orange. Ask your national government and local authorities to “orange” iconic buildings with lights or fabric for the duration of the 16 Days of Activism Campaign (to date, the Empire State Building, the UN headquarters, the administration building of the Panama Canal and the Sphinx and Pyramids at Giza have gone orange). Orange your websites and social media accounts and ask celebrities and influencers to wear orange and speak out on the issue. Build partnerships with local businesses and take the campaign to the streets, nightclubs, universities, sports clubs and market places. For ideas to inspire you to orange your world, check out this toolkit: http://ow.ly/RcYQA. If you would like to share your ideas or have any questions, contact UNiTE Campaign Coordinator Anna Alaszewski (anna.alaszewski@unwomen.org).